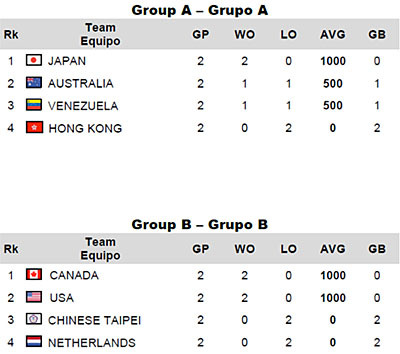 Canada, Japan and USA secure places in the "Super Round-Robin" semifinals. 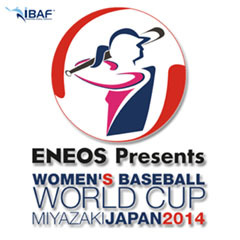 MIYAZAKI, Japan – Day 2 of the ENEOS Presents VI Women’s Baseball World Cup brought two blowouts that ended early and two tightly contested one-run games, including an extra-inning affair between Canada and Chinese Taipei on Tuesday at Ivy Stadium. In the first two days of women’s baseball's most elite competition in the world, all games have either been won by big shutouts -- 9-0, 11-0, 14-0, 17-0 and 19-0 -- or by the minimum margin of victory possible, a single run: 4-3, 5-3 and 9-8. 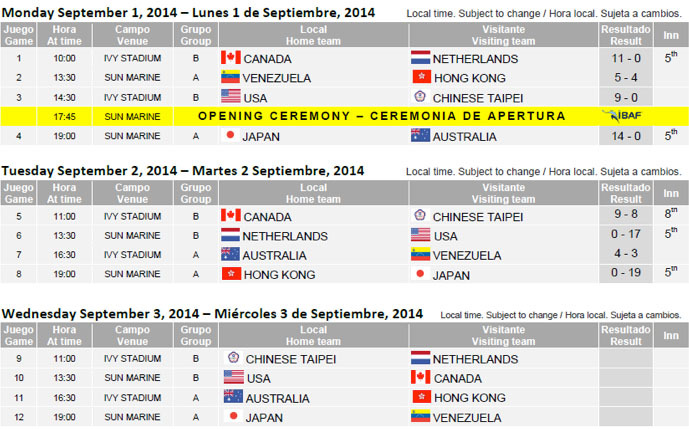 The results from Day 2 ensure that Canada, three-time defending champions Japan and the United States will all qualify for the semifinals; however, head-to-head results from the opening round will carry over to the “Super Round-Robin” semifinal, making Day 3 games, such as Canada vs. USA, particularly important because the winner of that contest will head to the semifinal round-robin with a record of 1-0, while the loser will begin the next phase with a record of 0-1. 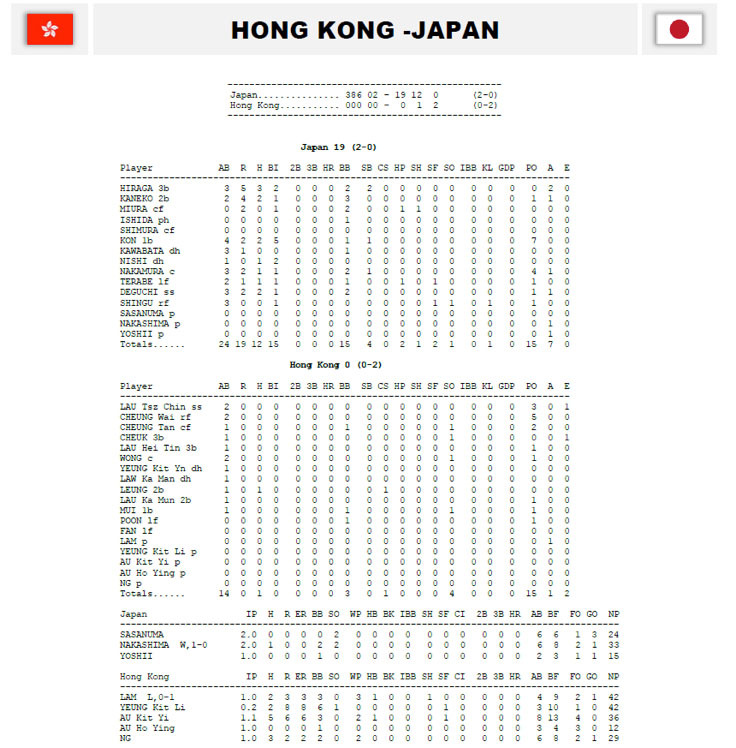 Japan used 12 hits to push 19 runners across the plate, while playing flawless defense. “Madonna Japan”, the three-time defending World Cup champions, only allowed 1 hit to Hong Kong. Japan’s first basewoman, Yukiko Kon lead the charge with 2 hits, 2 runs scored and a collection of 5 RBI.